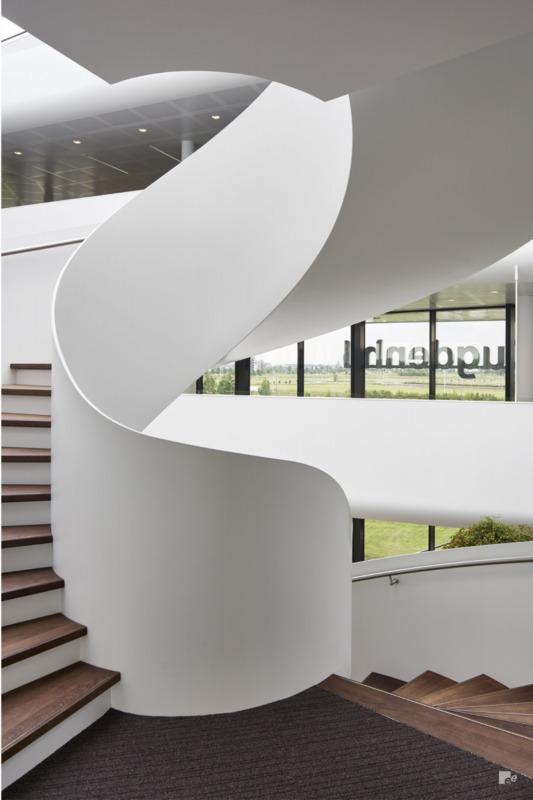 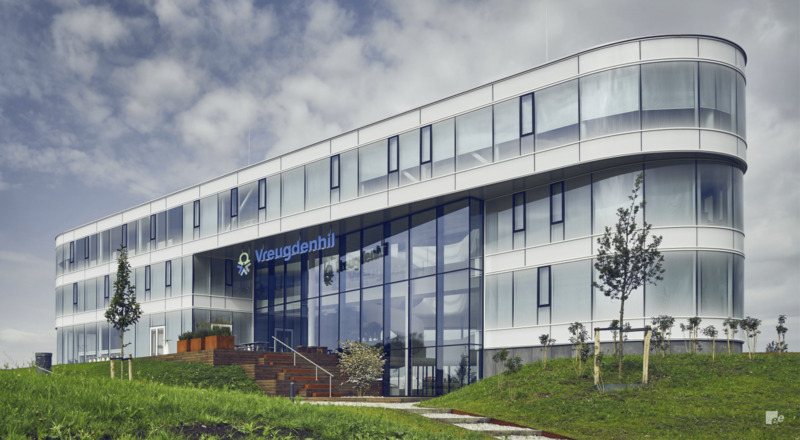 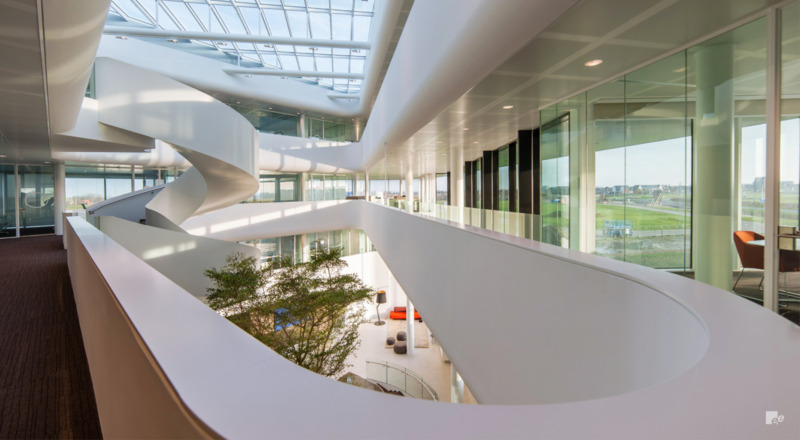 Dairy products manufacturer Vreugdenhil’s new Netherlands headquarters required a staircase spanning across the building’s four floors. 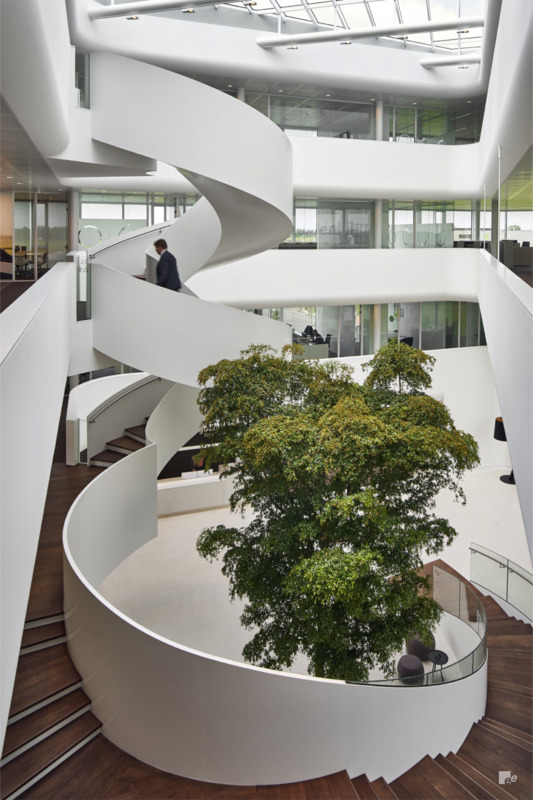 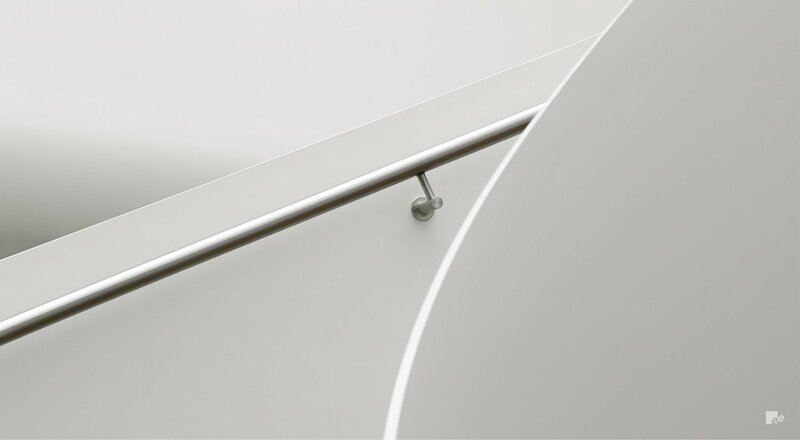 The brief included Vreugdenhil’s desire to encourage interaction between employees on the stair itself. 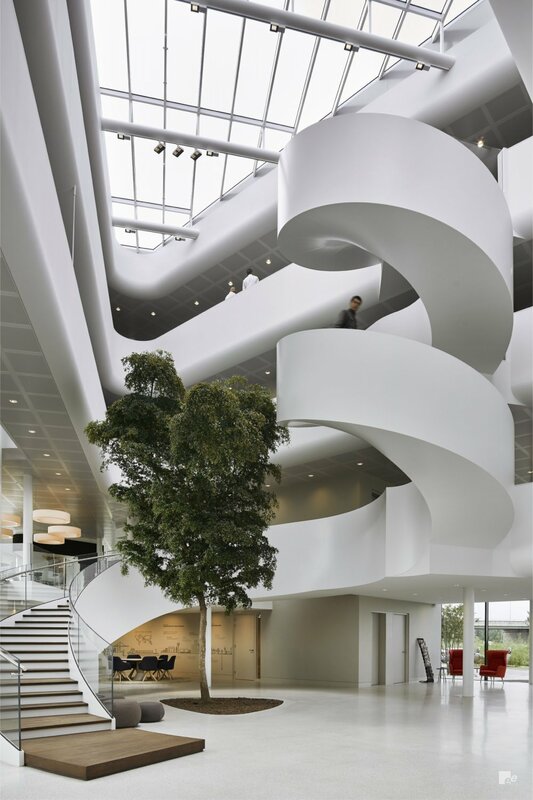 Acting as focal point in the building’s atrium, the staircase is highly accessible featuring alternate landings every two steps, encouraging chance meetings. 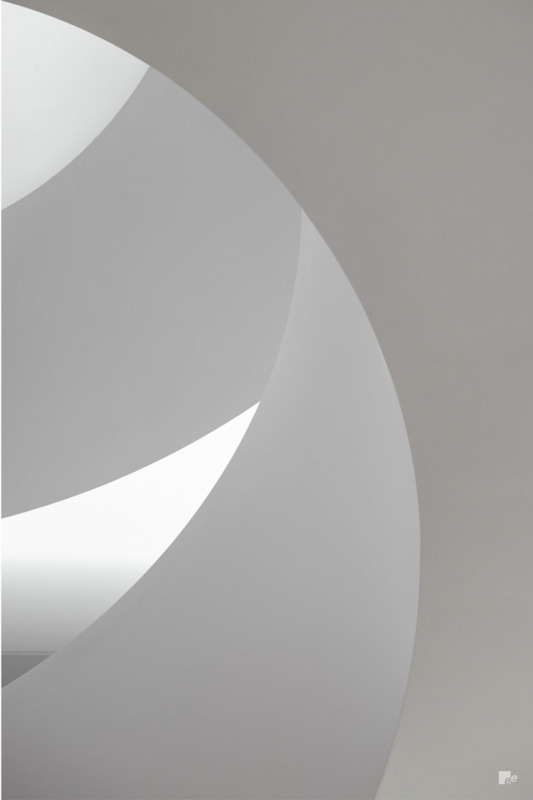 The inner string of the staircase gradually builds from the lower stage to circle a decorative tree placed in its centre.The staircase features a white gloss EeSoffit finish, an innovative alternative to stucco plasterwork on the underside of a stair.